Kohler is a name brand that many people turn to when looking for new faucets and other bathroom and kitchen items. The name brand itself is a name that most people think of when they are searching for quality. 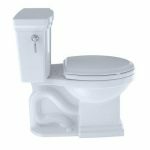 That is perhaps one of the main reasons they love the Kohler toilet, but that is not the only reason it is a popular choice. 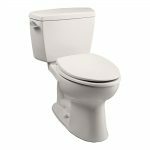 To find out more about what Kohler toilets have to offer, you should take a look at our Kohler﻿﻿ Memoirs Comfort Height toilet review. This toilet is a two-piece toilet that features a round front bowl. The fact that it has a round bowl makes it ideal for smaller bathrooms that do not have a lot of space. 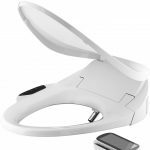 It will work with any type of rounded toilet seat, so you can choose a toilet seat that you like for your toilet. The seat of this toilet sits at a normal chair height to make it easier for people to sit down on so you would likely not need to add a raised toilet sea﻿﻿﻿﻿t. It also makes it more comfortable to stand at for most men, regardless of their height. 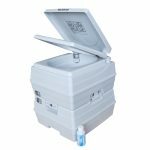 Water flow will rush into the toilet from all sides thanks to an AquaPiston canister. This means you get increased power and increased effectiveness with each flush of the toilet. It also means that you will spend less time cleaning the toilet. 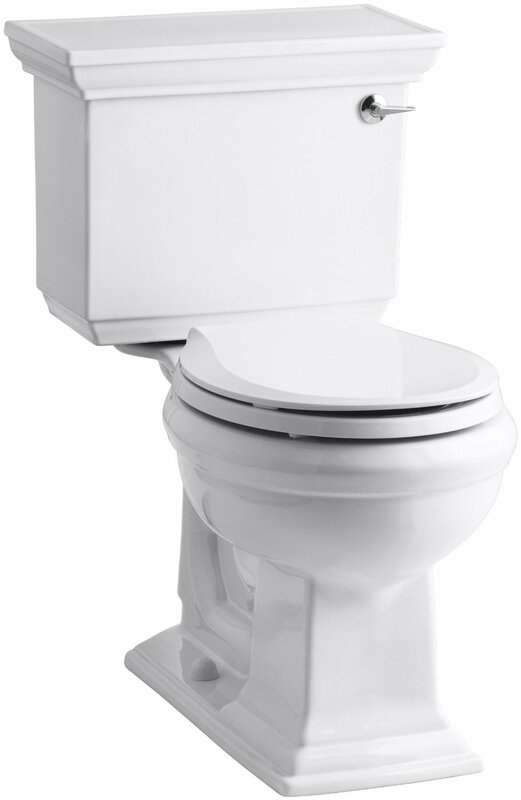 It is a high-efficiency flushing system that has a Best-In-Class for cleanliness. All this and it uses only 1.28 gallons of water with each flush so that you know you are doing your part to ensure your home uses less water. 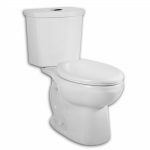 Its a great choice for a low flush toilet as other toilets use 1.6 gallons. The canister is also more durable than typical flapper toilets. It has less exposure to the water and promises an excellent seal so that you can worry less about leaky performance or jiggling the handle. When installed, this toilet measures in at 28 3/8in. in length. It is 18 7/8” wide and 31 1/8” high. 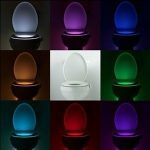 This makes it great for most bathrooms. The toilet tank cover is more decorative than other toilets to ensure it looks great. You can also choose from white, almond, or biscuit color to ensure that it will fit in well with the room’s decor style. 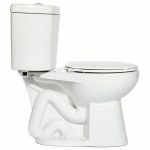 The biggest benefit to using this toilet is the water efficiency and the efficiency of each flush. 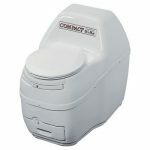 If you have a water bill to worry about and find yourself paying a fortune for the amount of water your family uses, you should know that you can save money on your water bill using this toilet. 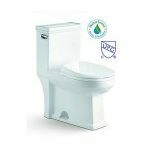 In some cases, you could save 4,000 gallons of water each month, depending on the size of your family and how often your toilet gets flushed throughout the day. However, even if you are using less water per month, you can still clean it less often thanks to the fact that it provides such a powerful flush. Is There a Downside to the Kohler Toilet? If there is a complaint about this toilet, it is perhaps that it flushes a little louder than st﻿﻿andard toilets. This is because of the high-pressure flush that occurs due to the AquaPiston canister. For most families, this is a minor issue and it does not take long for them to get used to it, but for others, it could be an issue. 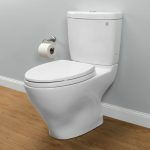 It is slightly more expensive than some toilets, but not by enough to really matter if you are seeking quality and the extra cost is easily offset by how much money you will save on your water bill. 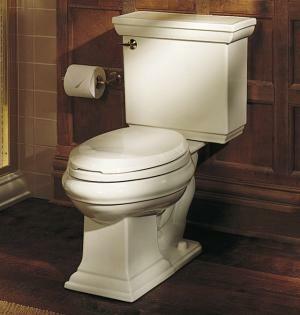 This is a reliable toilet that holds true to the Kohler brand name of products. There is not much that you will find negative about it, regardless of where you look online. What more could you ask for in a toilet?